Tina Turner Renounces US Citizenship – Was FATCA The Reason? The big news in tax circles last week was Tina Turner’s announcement that she had relinquished her U.S. citizenship and became a citizen of Switzerland. Many think that FATCA and the American tax system was behind her move. (Forbes carried a story titled “Tina Turner Gives Up US Citizenship – – Big FATCA Wheel Keep on Turning.”) We are not so sure. Certainly taxes have driven record numbers of Americans to renounce their citizenship and expatriate. Non resident aliens are tearing up their green cards too. Not everyone leaves because of taxes, however. Tina Turner is married to German record executive Erwin Bach. 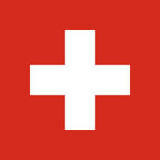 The couple have lived in Switzerland for quite some time. Although Turner did not retire until 2009, she has lived in Switzerland since 1995. For top earners, Switzerland’s tax burden is probably higher than in the United States. We understand when people move to Russia (top tax rate 13%) but we doubt folks are moving to higher tax countries such as Switzerland because of FATCA. For those who don’t understand FATCA, a little history is in order. FATCA, short for the Foreign Account Tax Compliance Act, was part of President Obama’s economic stimulus legislation. Passed in 2010, the law is designed to combat offshore tax evasion and increase revenues. FATCA requires foreign financial institutions to be the eyes and ears of the IRS. Beginning in 2014, offshore banks must look through their account records and report those with ties to the United States. Privacy experts say the law goes too far. Banks say that it increases their costs; costs which will inevitably be passed on to customers. Some policy analysts believe the law costs more than the revenues it is expected to generate. Many taxpayers believe that the law suddenly requires Americans, green card holders and dual nationals to report their foreign accounts. Actually, the law requiring offshore reporting is the Bank Secrecy Act and has been on the books since the 1970’s. FATCA affects both banks and taxpayers. There are penalties for noncompliance but those penalties are modest in comparison to the penalties that accompany the Bank Secrecy Act. That latter requires Americans to annually report their foreign financial assets on a Report of Foreign Bank and Financial Accounts, FBAR for short. Willful failure to file an FBAR is a felony and often involves huge civil penalties. We don’t believe that Tina Turner relinquished her citizenship because of FATCA. As the Justice Department and IRS ramp up their offshore reporting enforcement efforts, however, many other Americans are turning in their passports and giving up their citizenship. If you have unreported offshore accounts or missing FBARs, don’t panic. There are several programs and options to help you come into compliance and avoid the serious penalties associated with FBAR violations. While we can help people who desire to repatriate, most folks come to us looking for advice and help in complying. Unfortunately, you can’t legally expatriate if you are not already in compliance. Have questions about FATCA, FBAR and offshore reporting issues? Give us a call. We will gladly explain your responsibilities and explore your options. Our FATCA attorneys have helped many taxpayers with a wide variety of offshore reporting problems.